About 11 months ago I was completely floored and blown away by an email that I received from Cody at Adventure Sworn. 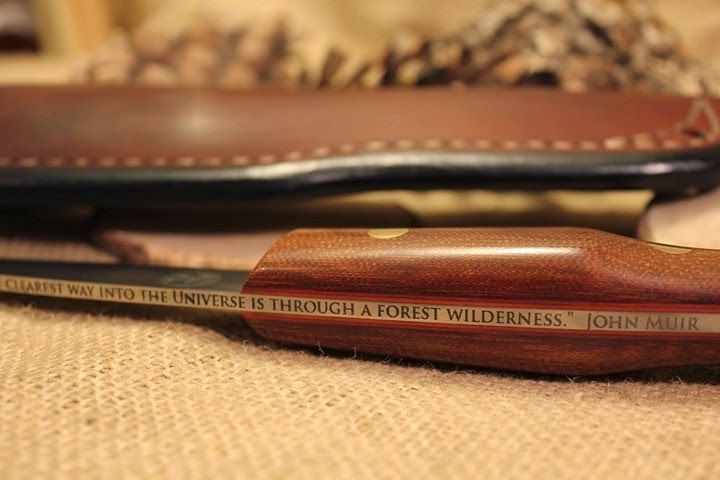 Somehow I was lucky enough to have won a custom knife from they in a give away from BushcraftUSA. 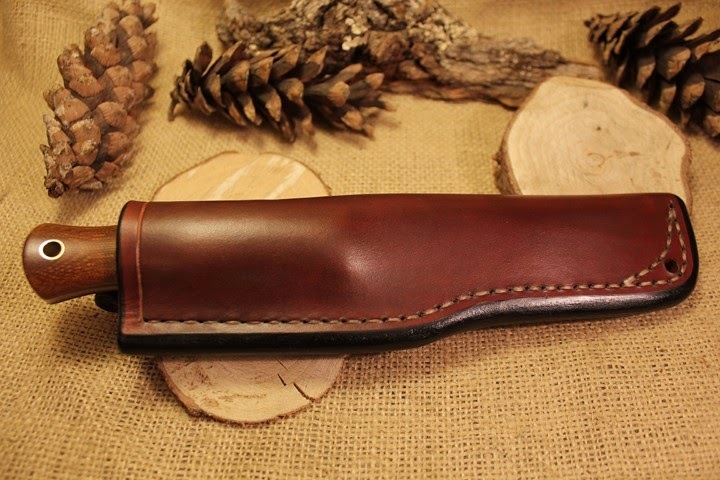 The knife was built to see hard use and be tougher than hobnail boots. So far it has lived up to its purpose. 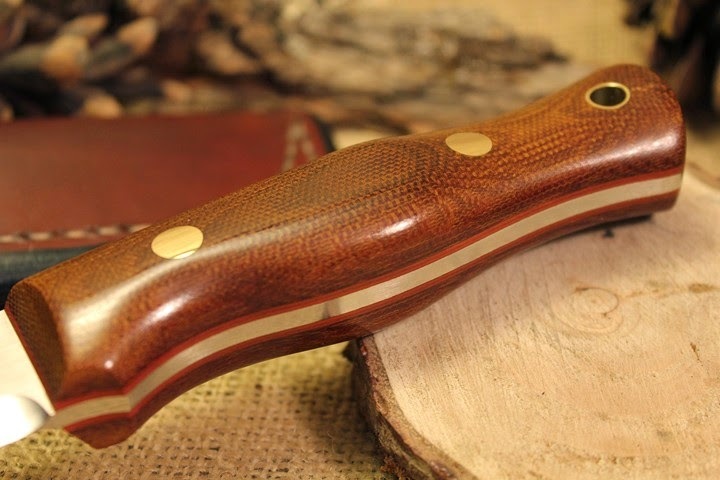 Let me first give the specifications of this incredible knife. Once I got this knife, I immediately started playing with it and using it per its intended use. 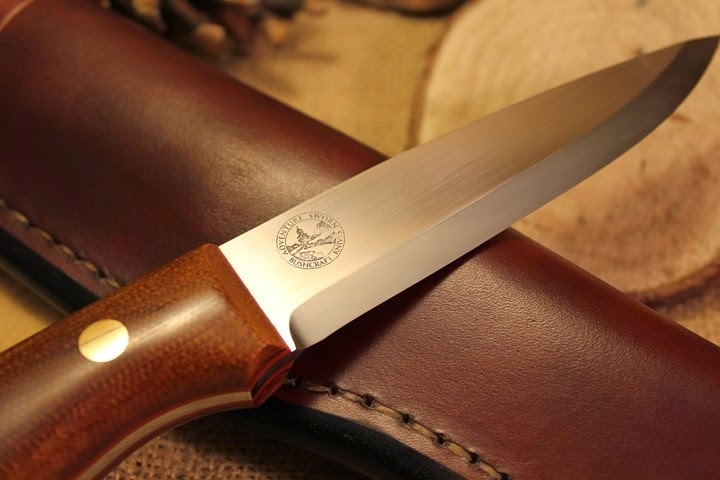 As beautiful as this knife was, I felt that it was an all out crime to not use the hell out of it. Here it is on its first outing. I was out stalking deer and took a break to harvest some moss to dry out for kindling. At this point I was not too sure if I wanted to actually scuff up the knife. Well after the first fire I made that whole uncertainty disappeared. 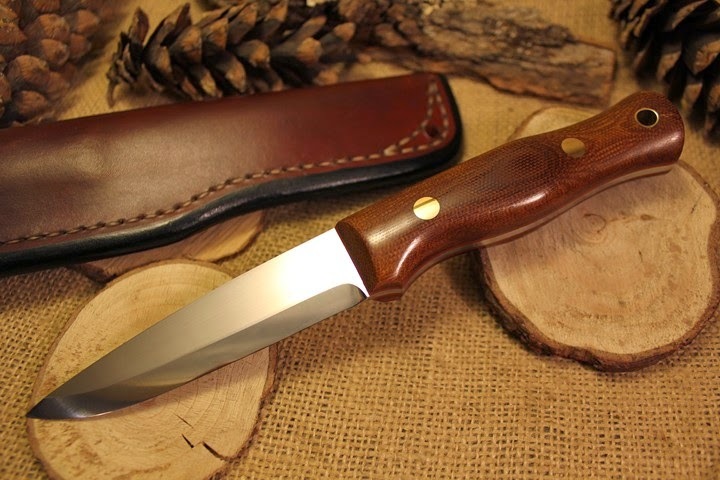 Not only did it process fire making materials like no other knife I had ever touched to that point, but it felt perfect in my hand. It was an absolute wonder to work with. 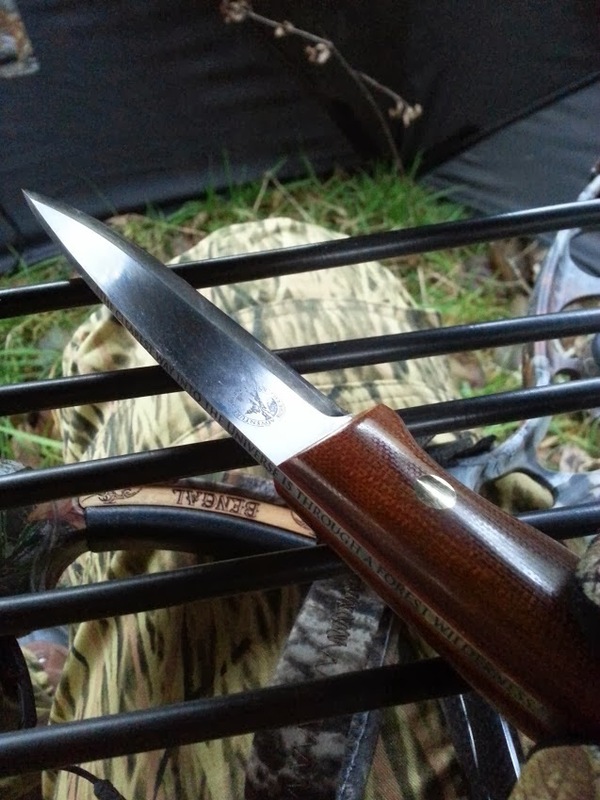 I also took it with me during my deer hunt. The next picture is me in my ground blind freezing while I wait for a deer to cross the trail in front of me. Unfortunately, no deer did cross. Playing with my knife was fun, however. It worked quite well for cleaning grouse and rabbit though. 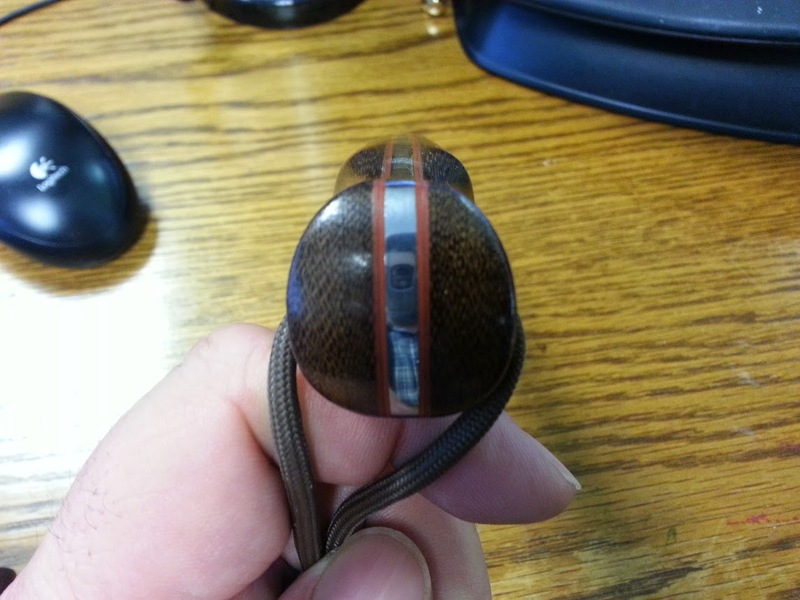 Fast forward through 11 months of hard use…….. 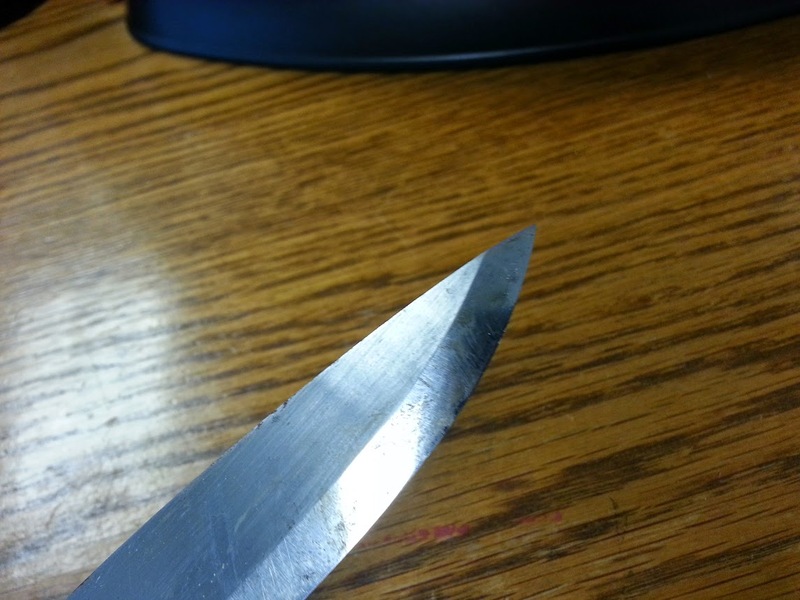 This is what the knife looks like now. As you can see, it has definitely been used quite a bit. 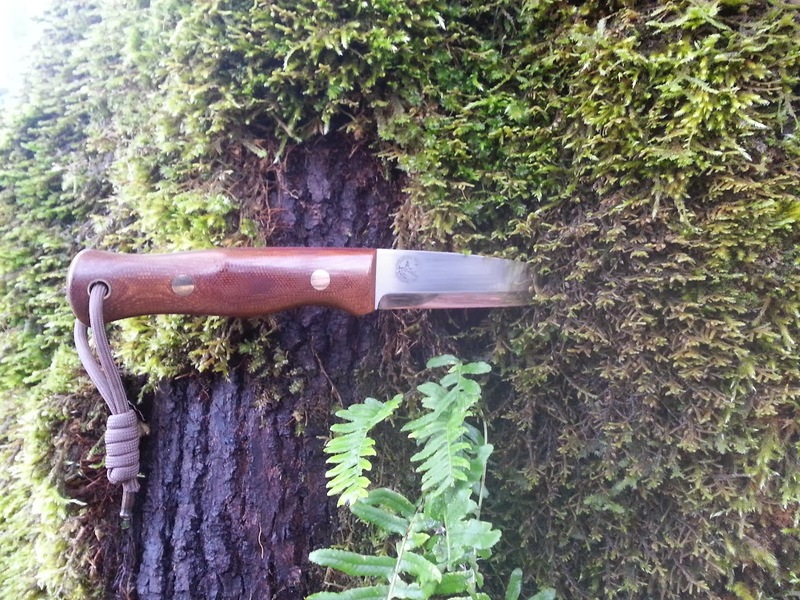 I clean it every time I get back from the woods and do an oil soak on the blade each time it gets wet. Unfortunately in the area where I live rust and moss grow on everything. It is very wet and creates a tremendous hardship on people trying to keep their equipment looking pretty. 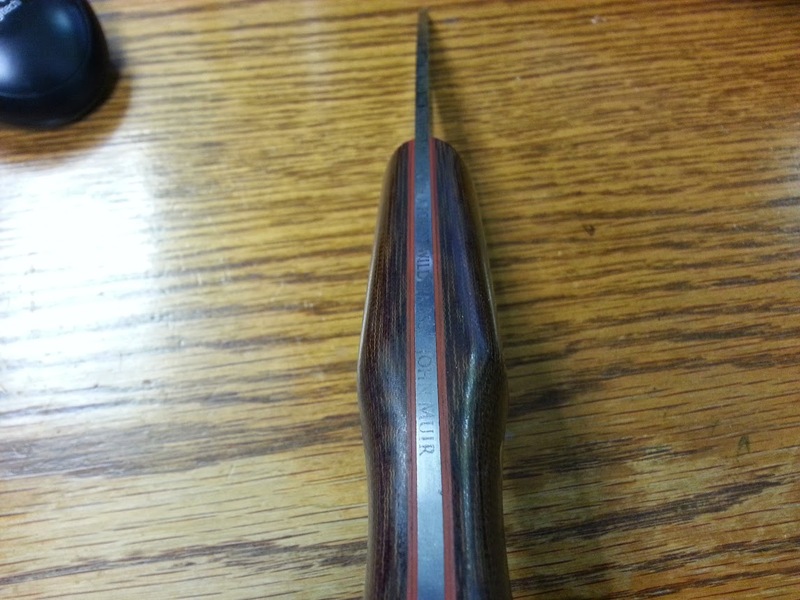 Even with how much I have used and beat this knife up, I have only had to put in on a strop a few times. 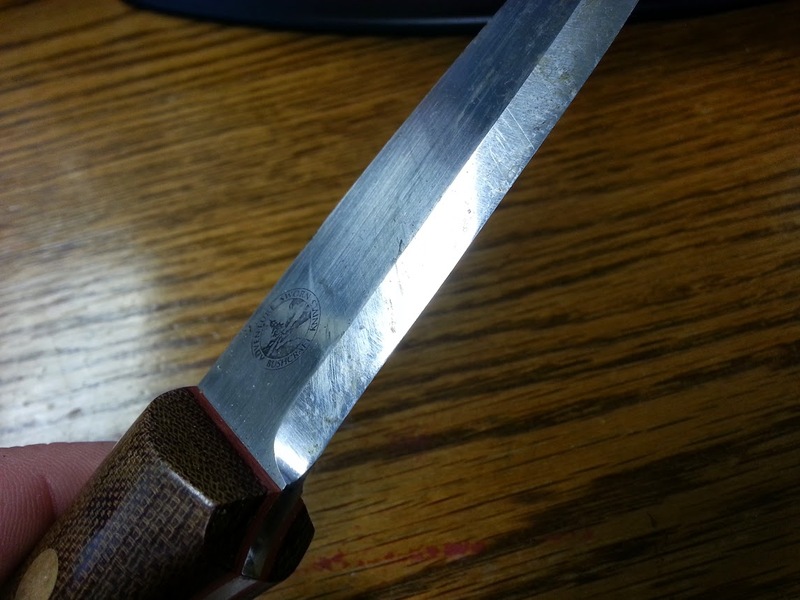 This knife holds an edge like no other I have ever been around. When I speak about “using” a knife, I must remind you what that entails. Of course it is used to cut meats and for camp chores. It also does my fire processing. This means that it makes feather/fuzz sticks, batons through wood, whittles spoons and cups, processes game, occasional pry bar, and any other number of required tasks that crop up in the field. 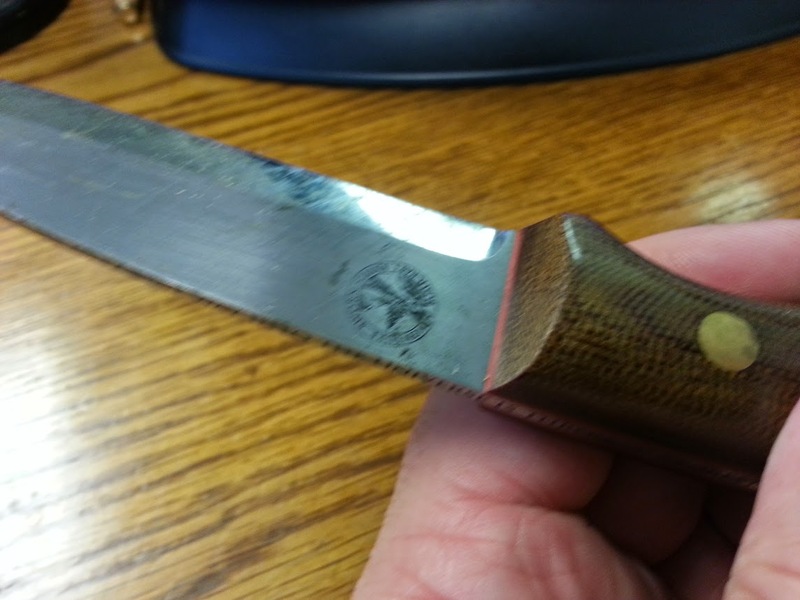 I can attest that this knife will take it and ask for more. 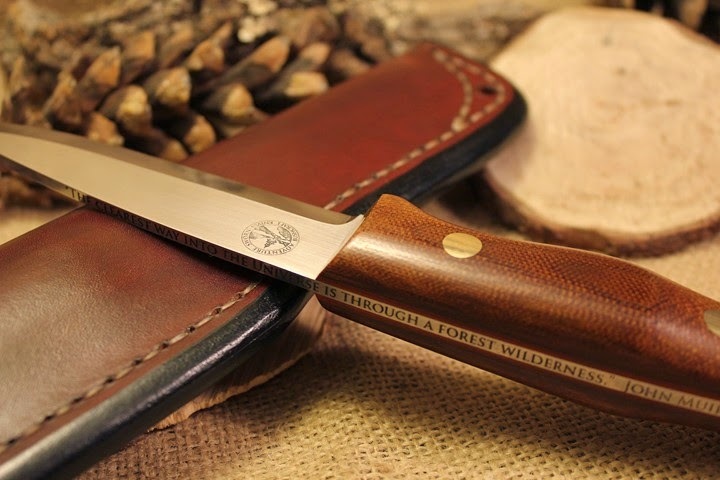 If you have ever considered spending money on a custom or high quality bushcraft knife, do it. These knifes are really lifetime tools if you take care of them, even with the hard use. This bad boy will eventually be passed down and will become an heirloom item. Once I get my GoPro purchased in the next few months, I will post some videos of this guy at work. Until then I will answer any questions I can, but my main point is that spending $400-$500 on a lifetime use item really is not that much different than spending the same on a rifle or pistol. This is really one of the highest quality tools you could ever purchase. 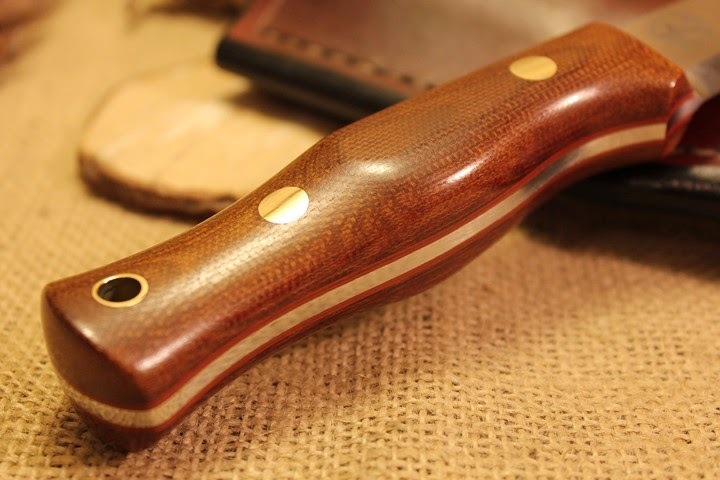 This entry was posted in Edged Tools and tagged Adventure Sworn, Adventure Sworn Mountaineer, bushcraft knife, custom knife, heirloom knife, knife, woods tool, woodscraft on October 22, 2014 by Woodsbum.